Size 5. 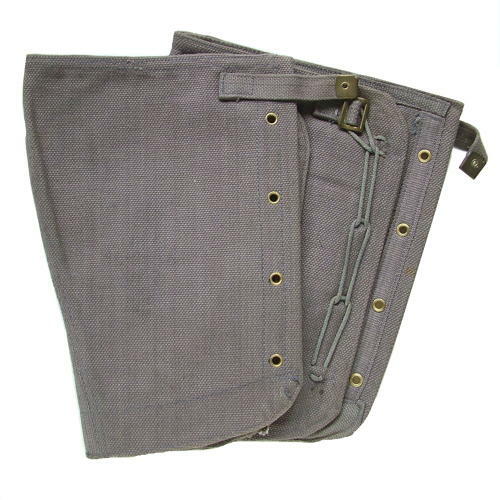 Blue-grey canvas gaiters with lace and buckled strap fixings. Four brass eyelets and single webbing strap with brass friction buckle. As new unissued condition. Clear King's crown Air Ministry marks and 1939 date. Very light storage soiling. Superb. Stock code B22602.